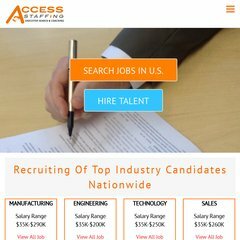 Topics: Job Seekers / Candidates, and Employers / Companies. The site has about 12 users daily, viewing on average 1.50 pages each. There are 2 Nameservers, ns2.hcst.net, and ns1.hcst.net. Its IP Number is 64.128.236.135. It is hosted by Tw Telecom Holdings Inc (Colorado, Littleton,) using Apache web server. PING rho.hcst.net (64.128.236.135) 56(84) bytes of data.